SelfStorageSMS | SiteLink Setup. Step by Step. SiteLink Setup. Step by Step. 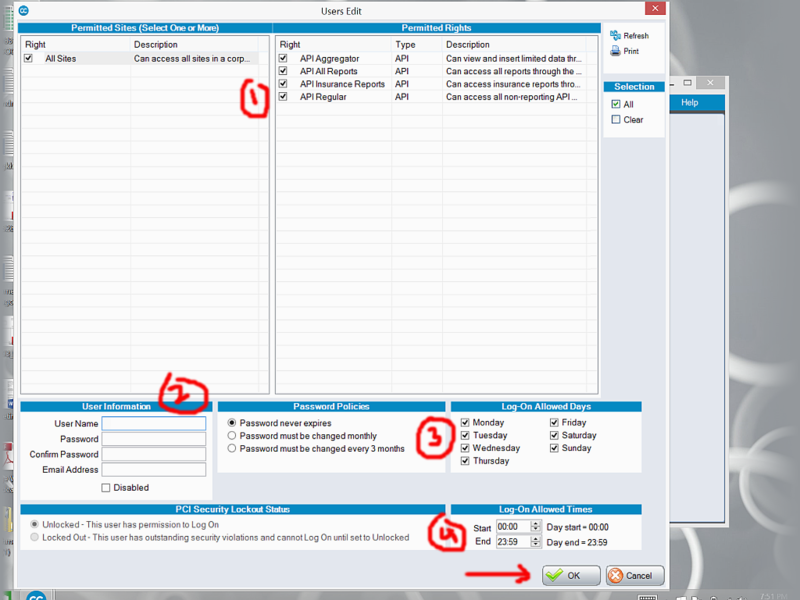 Use these steps to create a SiteLink user for our system. 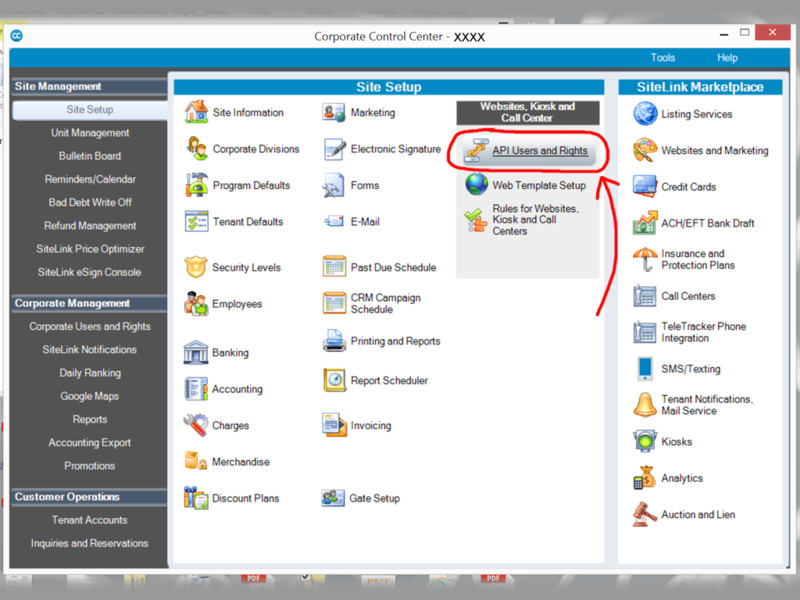 Login to the SiteLink Corporate Control Center. 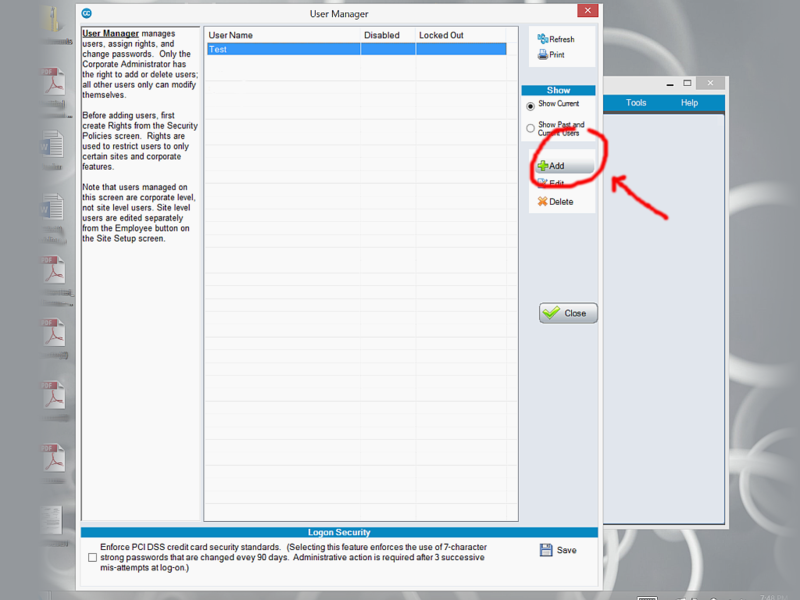 Select "API Users and Rights". Select all the "Permitted Rights" as shown. Create a "User Name" and "Password": (Enter the User Name and Password into the second page of our Sign Up process, or email to us.). Ensure every day of the week is selected. Allow access from 00:00 to 23:59. 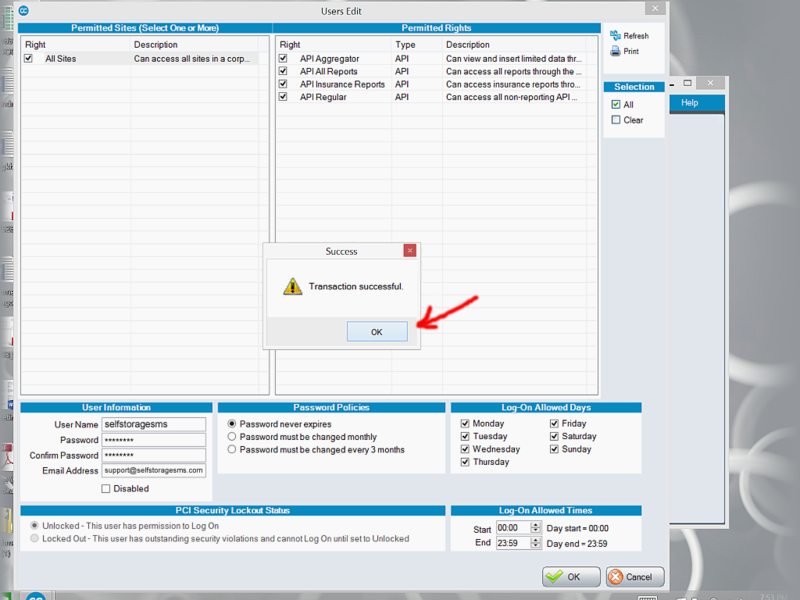 Click "OK" to close the box as shown. 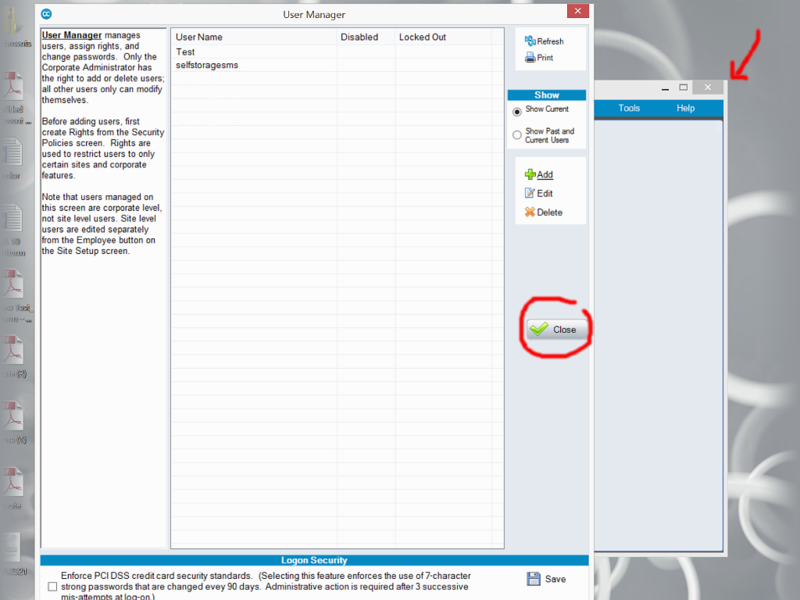 Close all SiteLink windows (as shown above with the circle and arrow).